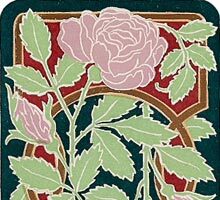 Unusual playing card designs by Gaston Quénioux in the decorative Art Nouveau style, evoking the aesthetic conventions and craftsmanship of the middle ages. There is a clever use of colour and strong floral elements throughout the design. 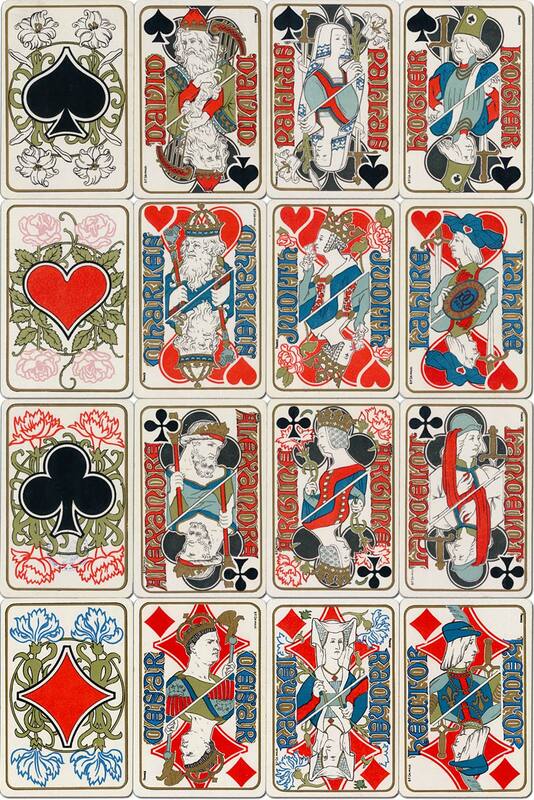 The court cards in medieval costume carry the traditional names of mythological, biblical and Roman military leaders that have been on French cards since the 17th century, in bold a gothic script which is an integral part of the design. 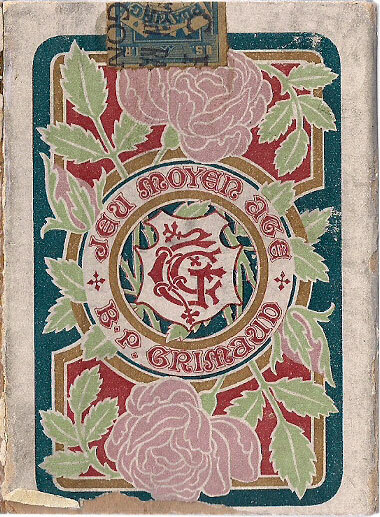 Above: “Jeu Moyen Age” published by B. P. Grimaud, Paris, c.1890-1900. 52 cards, 92x62mm. Gaston Quénioux published several works on the decorative arts and worked to reform art teaching in schools. He believed that aesthetic feelings and love of beauty are the highest values: “C’est précisément cet amour de l’artisan pour le travail qu’il accomplit, la satisfaction intime qu’il en éprouve, qui ont donné naissance à tous les arts et qui ont fait dire que l’art est la joie dans le travail”. Images courtesy Barney Townshend and Rod Starling.